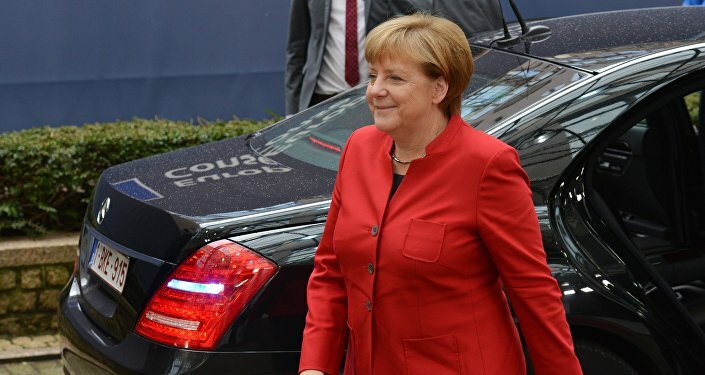 More than 60 percent of Germans think that the European Union is off the track, while 48 percent believe that the membership in the EU presents the equal amount of advantages and disadvantages for their country, a poll revealed Tuesday. MOSCOW (Sputnik) — The poll was conducted by TNS Infratest Politikforschung in October 2016, with 1,001 German-speaking people over 18 years old as participants. "The European Union is not on the right track, 62 percent of the respondents believe," the Korber-Stiftung foundation, which commissioned the poll, said in a press release. The poll results showed that 39 percent of the Germans saw the country's EU membership as mainly advantageous, while 48 percent believed Germany to have gained both advantages and disadvantages from being part of the EU. The poll also found that 59 percent of the respondents had a great trust in German's role in the bloc and would like to see German leadership expand. According to 60 percent of the survey participants, at the time of the crisis, the German government has to put its interests ahead of those of the other EU members. Most respondents, however would not discard the idea of a united Europe, with 78 percent believing that a joint European foreign policy was an important means of representing German interests internationally. A great number of the poll participants did not mind close cooperation with the most important EU partners, with 80 percent singling out France, 71 percent each Italy and the Netherlands, and 67 percent Poland.